A photo of Pfc. Leroy Deronde III from his Facebook page. Hometown: Jersey City, New Jersey. Died: May 27, 2012 in Operation Enduring Freedom. 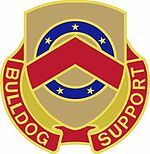 Unit: Assigned to 125th Brigade Support Battalion, 3rd Brigade Combat Team, 1st Armored Division, Fort Bliss, Texas. Pfc. 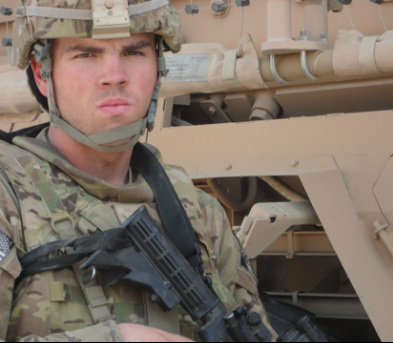 Leroy Deronde III, 22, Jersey City, New Jersey died May 27, in Chak-E Warkdak District, Afghanistan, when his unit was attacked by enemy forces. He was assigned to the 125th Brigade Support Battalion, 3rd Brigade Combat Team, 1st Armored Division, Fort Bliss Texas. 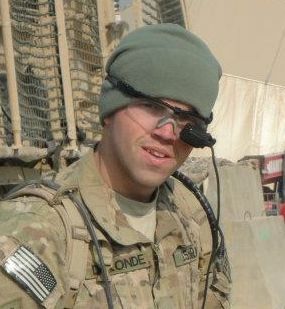 PFC LeRoy DeRonde , III, of Jersey City was killed in action in the Wardack District, central Afghanistan on Sunday, May 27, 2012. He was 22. Born and raised in Jersey City, LeRoy served in the US Army where he was assigned to the 125th Brigade Support Battalion, 3rd Brigade Combat Team, 1st Armored Division, Fort Bliss, Texas. LeRoy was predeceased by his beloved mother, Elizabeth "Littie" (nee Owen) DeRonde in 2005. He is survived by his father, LeRoy DeRonde, Jr.; his sister, Jennifer DeRonde; brother Harold DeRonde and a host of loving aunts, uncles, cousins and friends that are too numerous to mention. Visitation will be on Thursday and Friday, June 7th and 8th, from 5-9p at McLaughlin Funeral Home, 625 Pavonia Avenue, Jersey City . 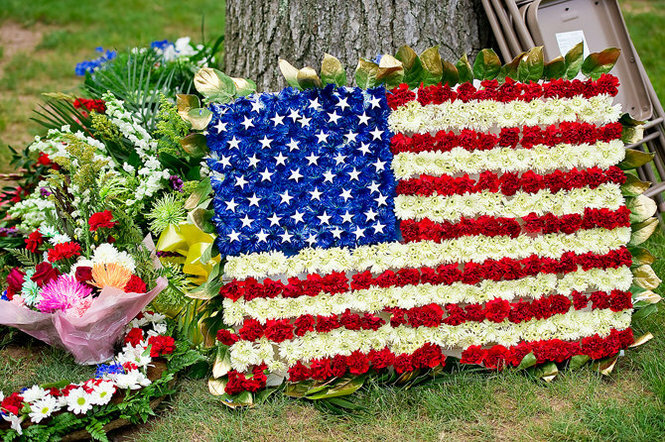 Interment will be at the 911/Veterans Memorial Section of Holy Cross Cemetery, North Arlington, NJ on Saturday at 11am. In lieu of flowers, please make donations to the WOUNDED WARRIORS PROJECT, P.O. Box 758517, Topeka, Kansas 66675 in support of the thousands of wounded warriors and their families as they return home. Gov. Christie issued a statement this morning expressing his condolences on the death of Pfc. 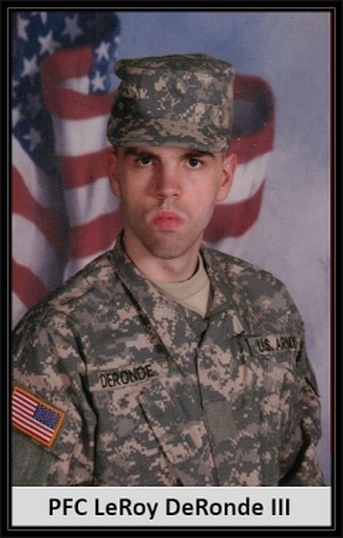 Leroy DeRonde III, the Jersey City soldier who was killed in Afghanistan on May 27. The Defense Department identified DeRonde late Saturday afternoon as one of the two soldiers killed during an enemy attack on their unit. The governor's office is in the process of issuing an Executive Order to lower state flags to half-staff in honor of DeRonde’s service and sacrifice, officials said. DeRonde, 22, joined the Army in January 2011. After basic training, DeRonde’s family told the Star-Ledger, they saw him off at Fort Leonard Wood, Mo. — as one of a handful of graduates to have been immediately promoted to a Private E2. "He’d been so quiet, but he knew everyone, they knew his name," his half-sister, Jennifer Owen, told the paper. "In six months, he really came out of his shell." mourning of a brave and loyal American hero, United States Army Private First Class Leroy DeRonde III. GIVEN, under my hand and seal this 6th day of June, Two Thousand and Twelve, and of the Independence of the United States, the Two Hundred and Thirty-Sixth. By Julia Terruso and Richard Khavkine/The Star-Ledger JERSEY CITY . Army Pfc. LeRoy DeRonde III was coming into his own, distancing himself from a hard-luck childhood and stepping up to take care of his family. 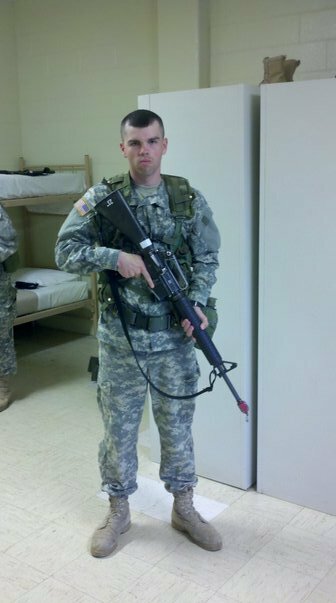 The 22-year-old Jersey City man saw the military as a way to do that, his family said, in a plan that began to form eight years ago when his mother, Elizabeth, died of cancer. Her absence shook the family’s foundation and then profoundly galvanized her eldest son. "He realized he was going to put the family on his shoulders. The military was his calling to do that financially," DeRonde’s cousin, Jason Owen, said last night outside the soldier’s family’s apartment on West Side Avenue. "From the time he decided that it was full steam ahead." But DeRonde was one of two soldiers killed on May 27 when their unit was attacked in Afghanistan, the Department of Defense said today. DeRonde, assigned to the 125th Brigade Support Battalion, 3rd Brigade Combat Team, 1st Armored Division, Fort Bliss Texas, died in the Wardak District in central Afghanistan. DeRonde is at least the 44th service member with ties to New Jersey to be killed in Afghanistan since the war began in 2001. An additional 102 service members from New Jersey have died in Iraq since 2003. "His life didn’t take hold until he was 22," said Owen, who noted DeRonde sent monthly checks home. "He was really taking the reins, he was ascending. The real tragedy here is from an upbringing that wasn’t so good he was working ... to help his family and to better himself." DeRonde was born and raised in the city’s Bergen neighborhood. As a child, he kept mostly to himself. His father, Leroy DeRonde Jr., said he loved playing PlayStation 3 with his brother, Harold, who is now 17. "The two were inseparable," DeRonde’s father said. He added that since his son’s deployment a year ago, they would talk using the online video chat service Skype. "If he wasn’t on, my hands would shake," he said. "It’s a terrible thing." Through the years, and in DeRonde’s short life, the tight-knit family has known both the fear of loss and tragedy. At 5, Harold was diagnosed with leukemia and given three weeks to live. The family went to Disney World on a Make-A-Wish vacation. It was the only real vacation they ever took together, Leroy DeRonde Jr. said. By luck, Harold survived. But when their mother died, DeRonde made a plan that required groundwork. He got his GED and then 15 college credits, both of which were required before he could join the Army, which he did in January 2011. DeRonde, his family said, was kind of person who, when he figured out where he wanted to go and what he wanted to do, nothing could stop him. After basic training, DeRonde’s family saw him off at Fort Leonard Wood, Mo. 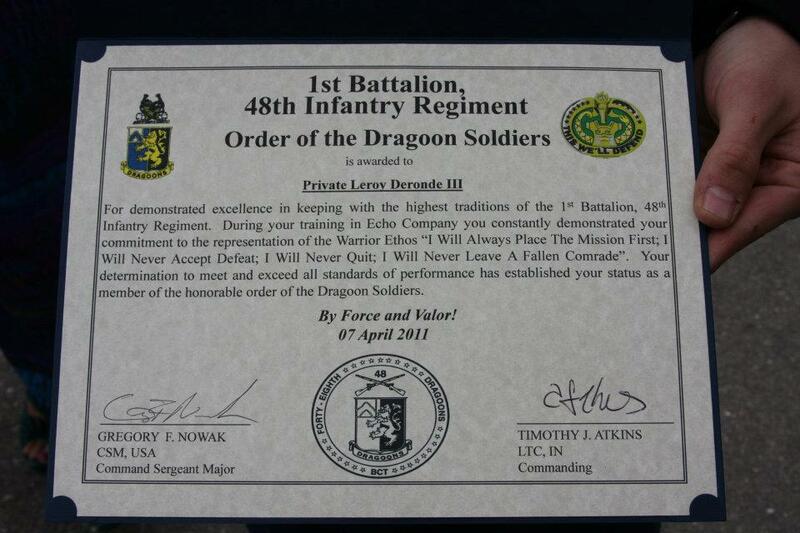 — as one of a handful of graduates to have been immediately promoted to a Private E2. "He’d been so quiet, but he knew everyone, they knew his name," his half-sister, Jennifer Owen, said. "In six months, he really came out of his shell." Funeral arrangements are pending.